For most people, the chance to fly off to the sun is the ideal way to escape the trials and tribulations of everyday life. But it’s not the solution for those people who have a phobia of flying, in which case the thought of boarding a flight – no matter where the end destination might be – is enough to bring on nightmares. In many cases, people are able to overcome their fears (or at least are able to put them to once side) and go on to enjoy their holiday but there are those people who simply will not go anywhere near a plane for whatever reason. That obviously leads to certain restrictions when it them comes to booking a holiday, with anywhere long haul pretty much written off immediately and even short haul breaks suddenly becoming much more tricky. But it doesn’t mean you have to simply resign yourself to spending the rest of your life holidaying here in the UK, even if there is absolutely nothing wrong with embracing the beauty that exists on our own doorstep. Luckily, there are options that still allow those with a serious flying phobia to experience an overseas adventure. For a start, the fact you can hop onto a train and be in France within a matter of hours has opened up mainland Europe in a way that few would have imagined in years gone by. From London, you can travel direct to the French capital Paris, head off with the family to Disneyland Paris, embrace the culture of Brussels or head further afield with a connection on to a range of other destinations – from the Alps to Amsterdam. Mainland Europe can also be accessed by sea, with passenger ferries from Dover over to France and from Hull to the Netherlands being particularly popular. You can also travel further afield on a cruise, with a number of cruise lines operating trips that embark from these shores. In fact it is these so called ‘No Fly’ cruises that cater for a large part of the UK market, with the likes of P&O, Fred Olsen and Cunard operating trips that remove the need to head overseas to greet your ship. 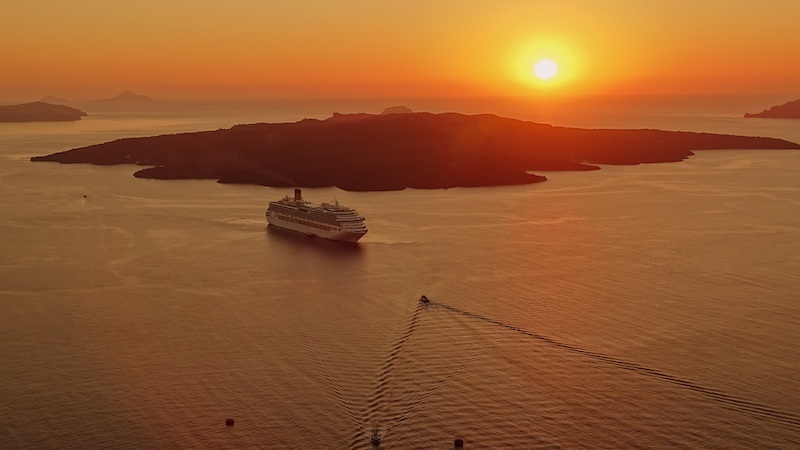 As an example, a 19 night cruise with P&O could provide the chance to visit Portugal, Spain, France, Italy and Gibraltar without the need to board a plane, whilst a 12 night trip with Cunard heads south to the Atlantic Ocean to visit Madeira and the Canary Islands before heading for home. You’re not just restricted to the Mediterranean, with Fred Olsen running trips that head across the Atlantic to Canada or north to the Arctic. You could even embrace the ultimate cruise experience and embark on a trip around the world to explore the top destinations that are available globally. In most of the main airports you will be able to take a fear of flying course. This is an example﻿ of what it may contain. Some people, me included, can develop a sudden fear. Years ago I had a flight with what seemed like extreme turbulence. I thought no more about it until I got on my next flight. I realised I was frightened. No matter what I said to myself , I couldn't shake it. The same happened in the following flight. I researched this before my next holiday and found great reviews for Bach's Rescue Remedy Drops. Result!! Now I know it may have been psychological but it doesn't really matter as it worked. However I had a colleague who went through all sorts of fears on a flight - she would be shaking and crying. She felt she had no option as it was the only way she could visit her daughter. She had even tried a course. I mentioned Rescue Remedy to her and the next time I saw her, she was ecstactic. She had had a calm flight. I like this site, it's absolutely brimming with information and includes a map of the routes. http://www.nationalholidays.com also provide coach/ ferry breaks. My friend & I have been on a few. I love that site Sanji - it is a mine of information for people like me who aren't afraid of flying but just prefer to travel by train. Matt, don't judge mainland European trains by the standards of our trains - it really is a completey different and more pleasurable experience. It is my preferred way of travel within mainland Europe - it makes getting there all part of the holiday. For example, a couple of years ago, I friend and I decided to revisit Berlin where we had both spent time as students long before the Wall came down and we travelled by train all the way. Our through tickets costs €49 each way (roughly £80 return at that time) and we left on the 11am Eurostar to Brussels where we changed onto the DBahn express train for Berlin, enjoyed a delicious two course freshly cooked meal and bottle of wine between the two of us for €22 per head (all served up at table laid with a damask tablecloth and proper cutlery, crockery and glasses etc. We arrived at the the central rail station in the middle of Berlin time to take a cab to our hotel, freshen up and go out for dinner and be sat down eating it by 8pm local time (bear in mind that Berlin was an hour ahead of the UK at the time). Central London to central Berlin in roughly 8 hrs, arriving feeling relaxed, far better fed and watered than on a locost airline, no extra charges for luggage etc, no queuing for security, no hanging around in departure lounges, and no treks to/from an airport miles away from the centre of our destination city. We might have been able to do it more quickly going via either Gatwick or Stanstead but I doubt that we'd have done it for much cheaper and we certainly wouldn't have done it in such comfort! Reminded me of the time in the 70's when my bf & I were living in Holland. Contractors had a few weeks holiday so we decided to buy Interrail tickets & travel down to Greece. The tickets also gave you a discount on the ferries so it was a bargain way to Island hop once we got to Athens. I take your point, Cidermonster, I live on the east coast of Scotland myself but I make great use of the Caledonian Sleeper service. I can pick it up at my local station (10 mins walk from house) at roughly my usual bedtime, have a hot chocolate in the lounge car, hit my pit and wake up refreshed at Euston. But then I can sleep on a clothes' line! And do take yourself north of Inverness and Aberdeen - the coast of Sutherland is magnificent with beautiful white sandy beaches set against awesome mountain backdrops. And once you are in Caithness it is a relatively short ferry hop to Orkney. I'll certainly be taking myself further north, love Inverness but hated the drive there, the sooner the dualling of the A9 is finished the better .... years of neglect of our roads! British Couple on Canadian Holiday - Flying to New York?